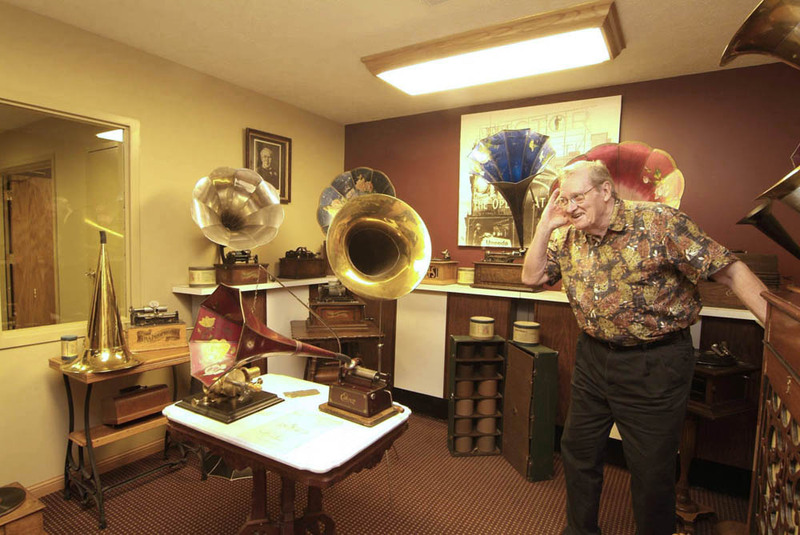 Welcome to this display of Phonographs named in honor of Axel and Betty Boilesen who enthusiastically supported me collecting phonographs. 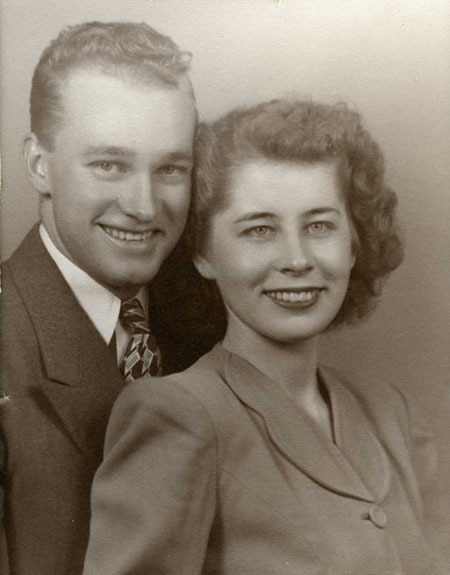 Axel and Betty were married in Cotesfield, Nebraska on August 25, 1946 and their wedding song was ALWAYS. They lived in Lincoln all of their married lives. 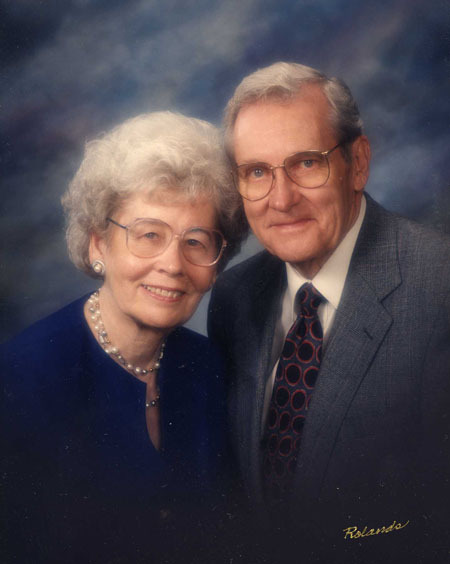 Betty had many friends and she loved to talk about her family and her Nebraska heritage. You can read Betty's childhood memory of the Phonograph and other Betty stories by clicking HERE. 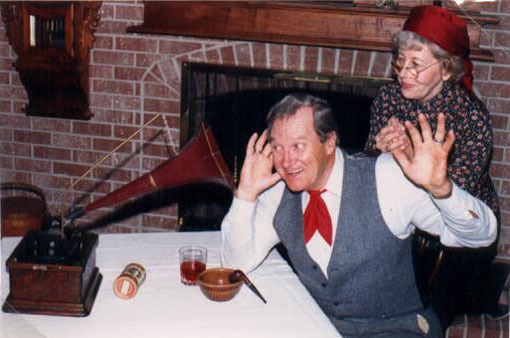 To read Axel's earliest memories of the Phonograph and other Axel stories, click HERE. Dad and I went to many auctions and garage sales over the years and I'm sure my mother always wondered what we might bring home. We started celebrating the Phonograph's birthday in the late 1970's and it would became a December 6th annual event. Inspired by the Phonograph, birthday presents such as pottery shaped like a record, a phonograph tapestry, phonograph ornaments, and special creations like the photograph my parents staged in 1986 (see above) have been a fun part of those birthday celebrations. That scene of my parents re-creating Edison's most famous Phonograph advertisement is my all-time favorite phonograph birthday gift. I was fortunate to have parents who enjoyed the journey. Their "The Phonograph" picture ALWAYS makes me smile and tells a story that they were Friends of the Phonograph, and much more. (1) A STRIKING OIL PAINTING. A calendar for 1906 was mailed to the entire trade early in January. 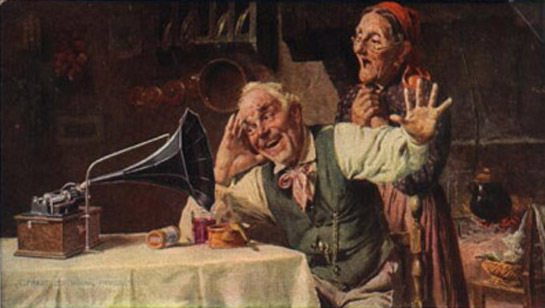 Its principal feature was a reproduction by the three-color process of an oil painting of an old couple listening in delighted amazement to an Edison Phonograph for the first time. The original of this picture was painted by Massani, a noted Ital- ian painter. It was imported a year ago by William Johnson, then of Fifth avenue, New York city. Its first public exhibition in this country was at the Chalfonte Hotel, Atlantic City, where Mr. Johnson had an extensive exhibit of paintings, and where it was priced at $1,050. It was there bought by the National Phonograph Co. It is now being reproduced in a handsome and life-like manner in fourteen colors of lithography, and copies will later be distributed to the trade. This reproduction will be the full size of the original painting, 17 x 25 inches. It will be worth a place in any home. Other uses of the painting will follow. The subject is universally regarded as one of the most striking ever put out in connection with a talking machine.